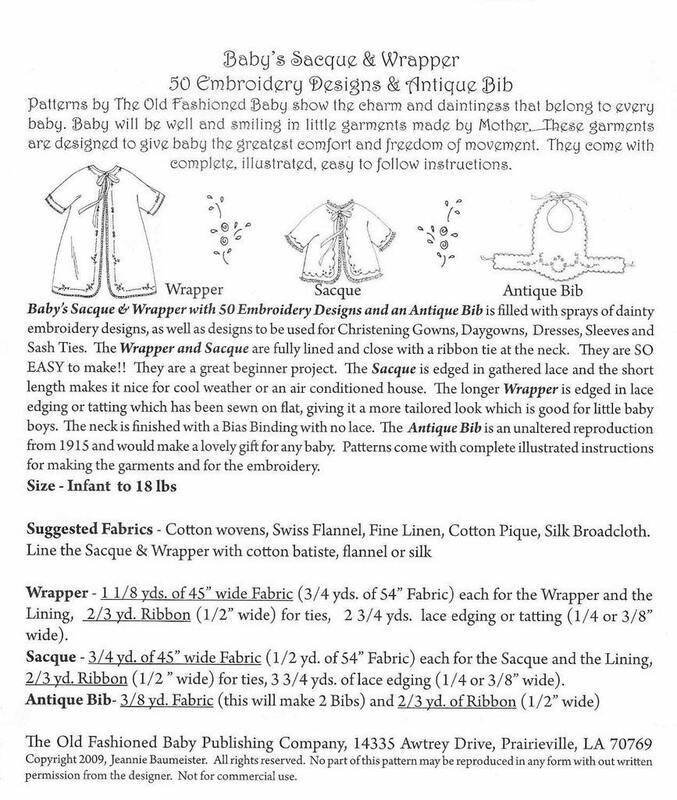 Baby's Sacque & Wrapper with 50 Embroidery Designs and an Antique Bib is filled with sparys of dainty embroidery designs, as well as designs to be used for Christening gowns, daygowns, dresses, sleeves and sash ties.The wrapper and sacque are fully lined and close with a ribbon tie at the neck. They are a great beginning project. The sacque is edged in gathered lace and the short length makes it nice for cool weather or an air conditioned house. The longer wrapper is edged in lace edging or tatting which has been sewn on flat, giving it a more tailed look, good for little baby boys. The neck is finished with a bias binding with no lace. 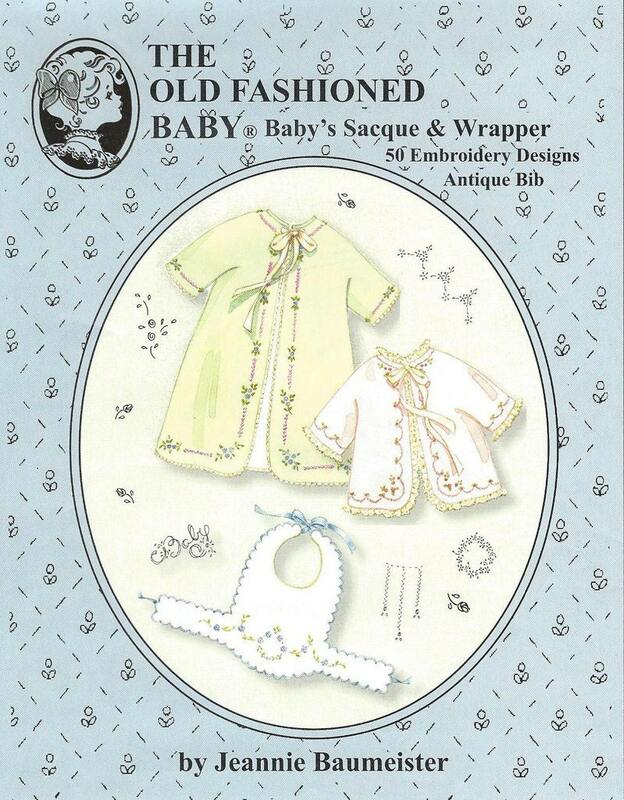 The antique bib is an unaltered reproduction from 1915 and would make a lovely gift for any baby.